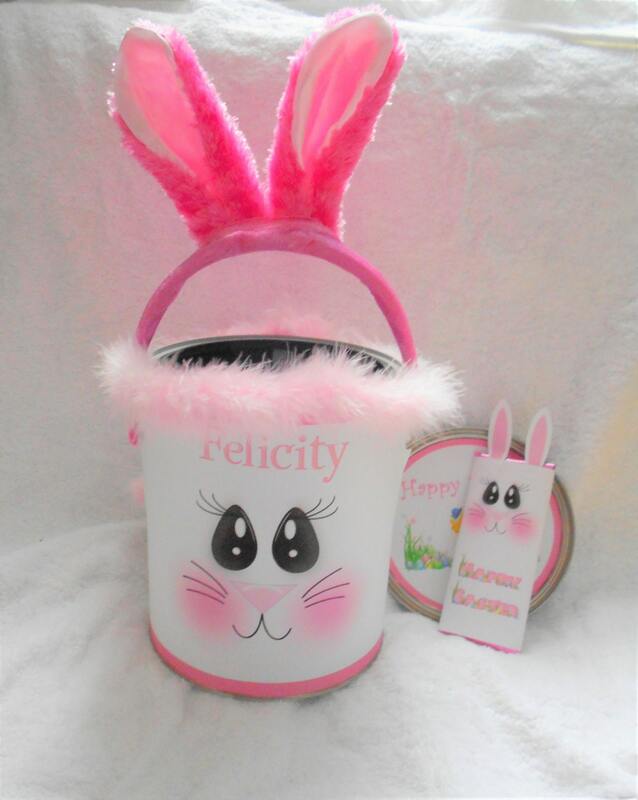 Personalized Easter Bucket- a great alternative to the traditional Easter basket! 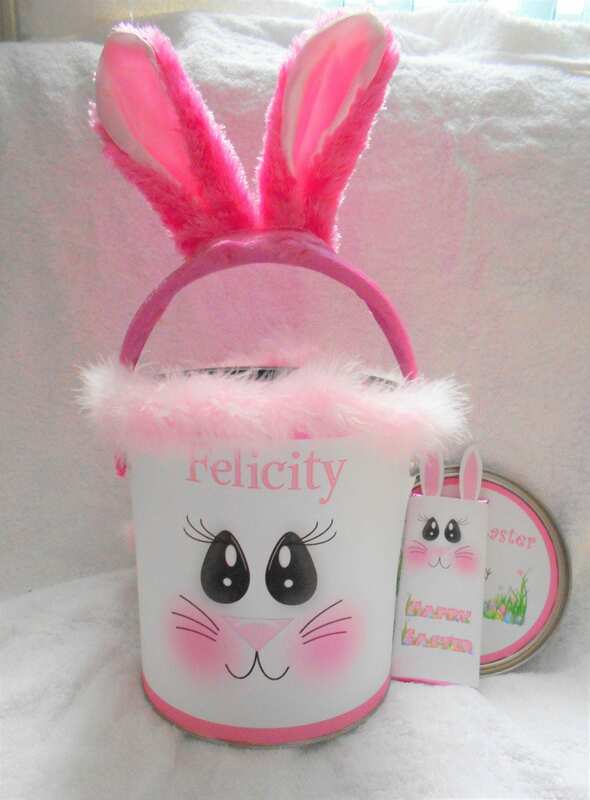 Try our Easter bunny keepsake cans. Comes with the lid. Bunny ears for the handle. And a personalized can with your child's name on it! Our niece is in love with hers and won't put it away! So its a great gift for all year. And it holds MANY eggs for an Easter Egg hunt. 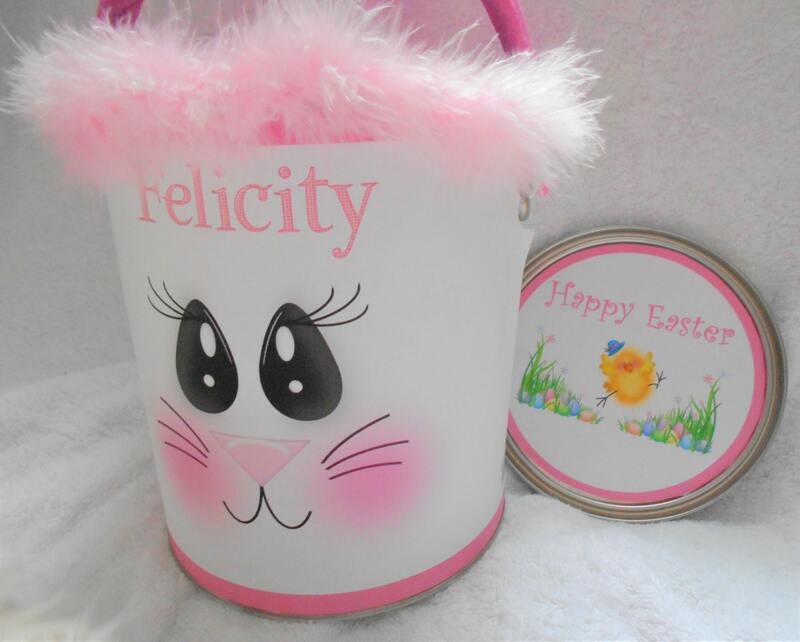 These personalized "easter baskets" are perfect for a unique Easter experience! Not the traditional Easter basket, but loads of fun. 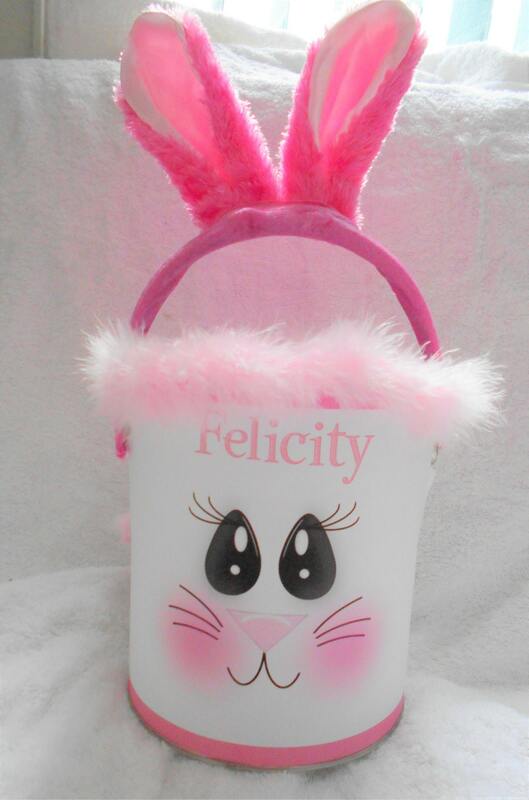 Customized and personalized for each child in your family! These have been such a hit that we are now offering them on Etsy. Also available in blue or purple (will post those soon). So if you are interested, convo me. 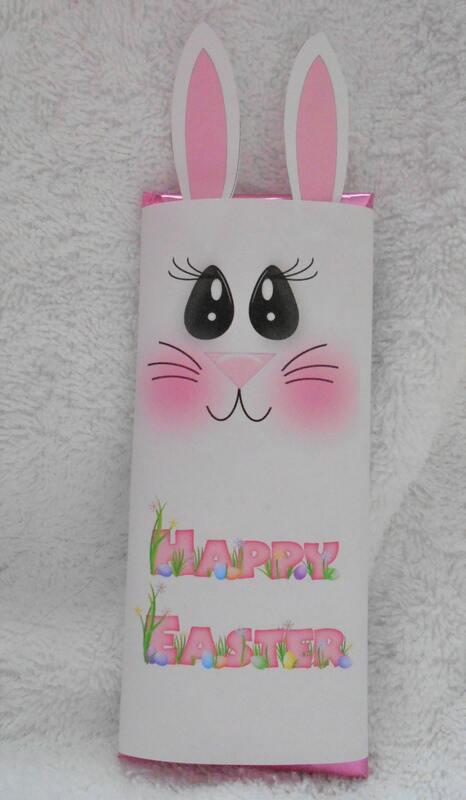 Comes with a bunny Hershey bar (can be personalized as well). 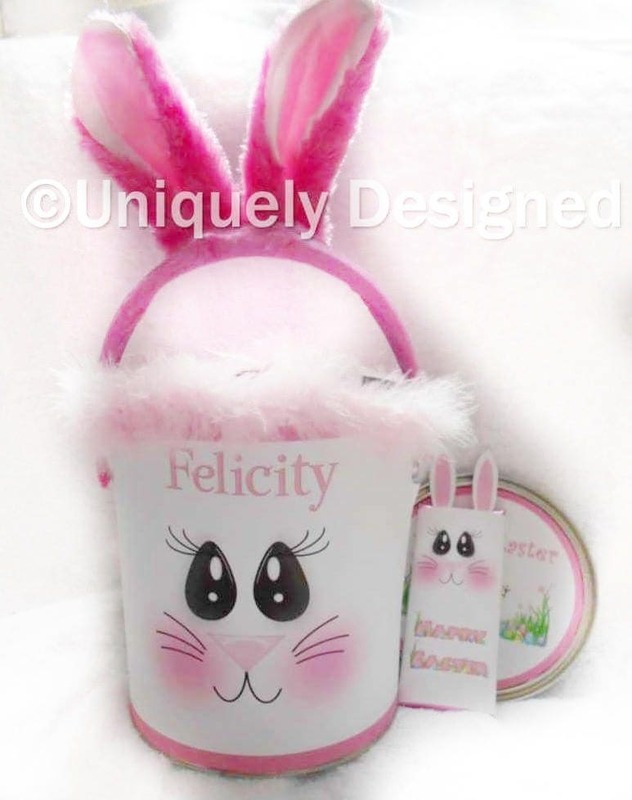 If you are interested in a full gift basket set, please convo me for ideas and prices. Otherwise this set includes: the personalized can and the Hershey bar.